Published by Joshua Clare-Flagg on 24 Apr, 2016. 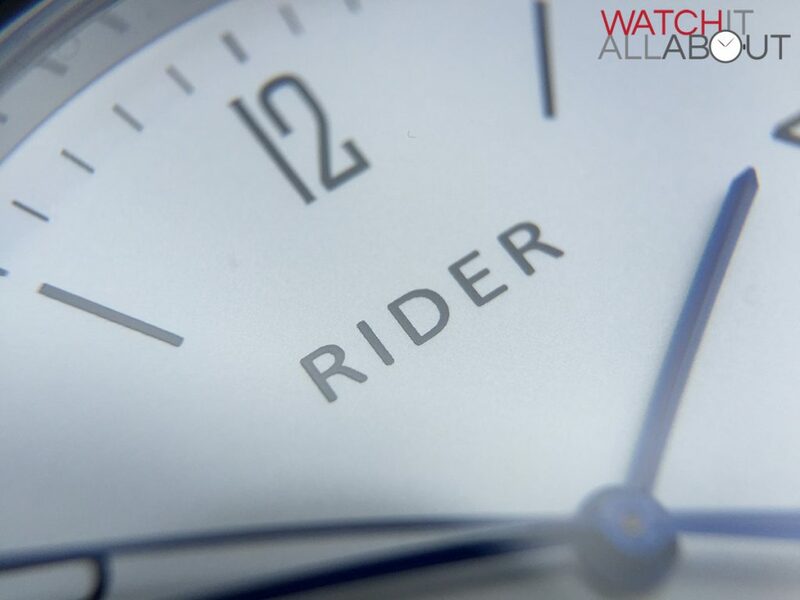 Here we have another affordable homage watch from GT&FQ, the founders of http://www.seagullwatchstore.com/ – namely the Rider M005. 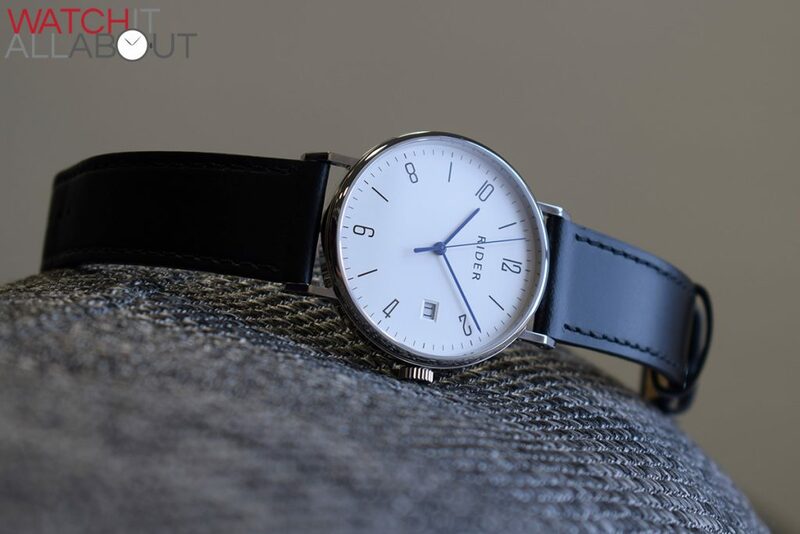 It’ll cost you $170 / £120, and is a solid Bauhaus / Nomos Tangente homage. If you know anything about your affordable Chinese homages, you’ll notice that this is basically the same as the Rodina I reviewed here, apart from a few important differences. 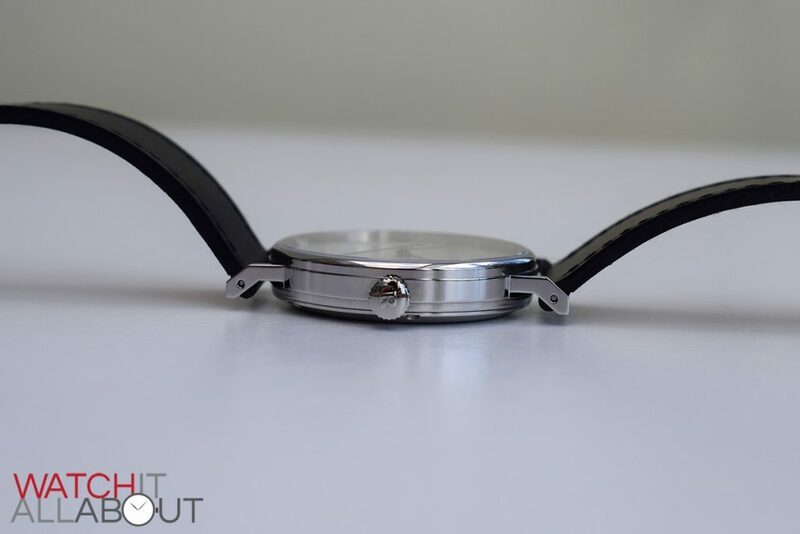 At first glance, it seems like a great deal – a proven design, along with an impressive movement in the Miyota 9015, so let’s take a closer look to see if this is really the case. 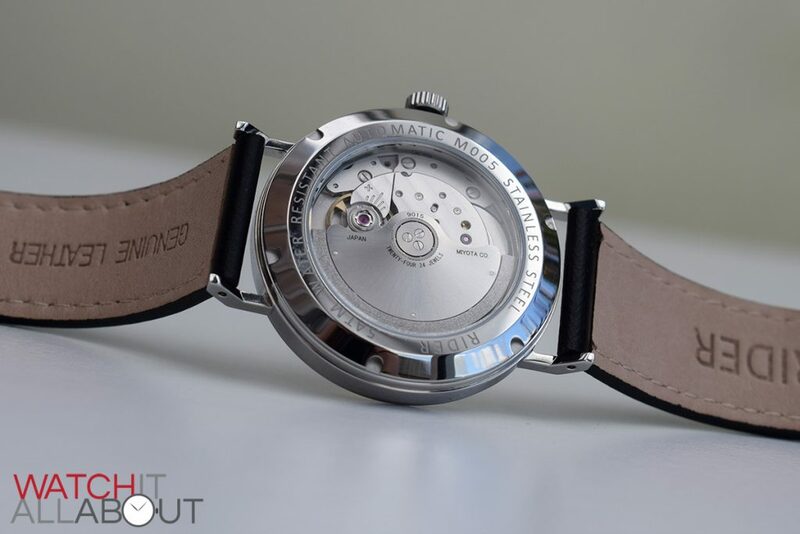 The case is fully polished and clearly borrowed by the Nomos Tangente – from the lugs, the ridge around the case, and even the caseback. 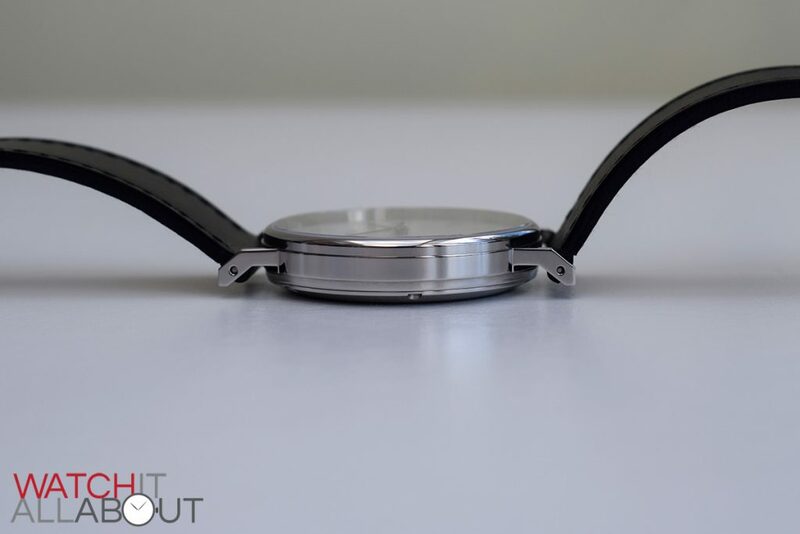 The ridge around the sides of the case is minimal – not really a massive protrusion but just enough to keep a simple barrel case shape a little bit interesting. In addition to this, the angular lugs are a very pleasant design. 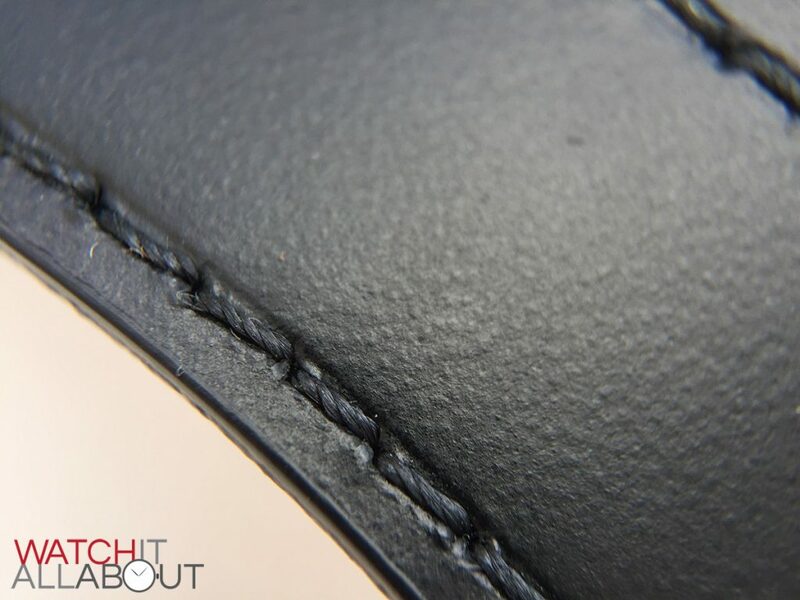 They’re also drilled-through, so changing the strap is very easy and you’re unlikely to scratch or damage the lugs whilst doing so. On to the sapphire crystal, which I think is one of the most impressive aspects of the watch. 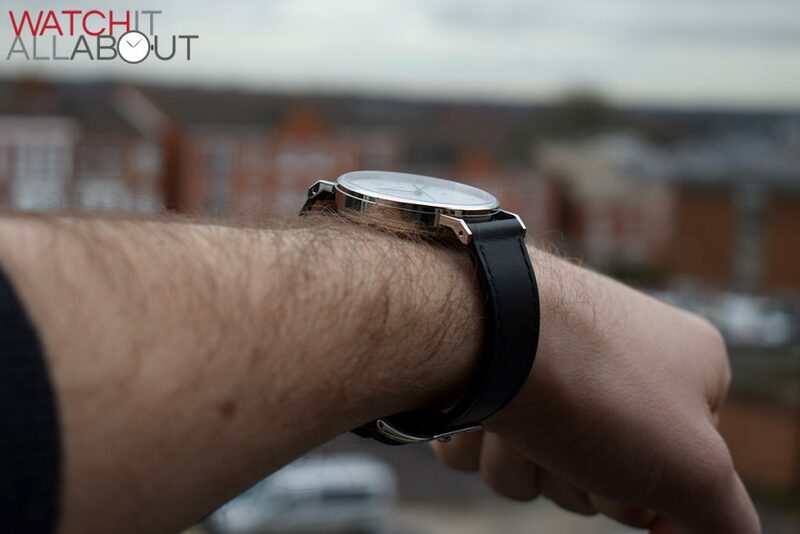 The anti-reflective coating is a class above all other watches in this price range. 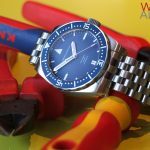 Watch the video review, and I compare it to the Steinhart Ocean 1 – a watch that I regard as one of the best watches available under £500 currently. The AR coating on the Rider M005 is much more impressive looking and works better in removing reflections. 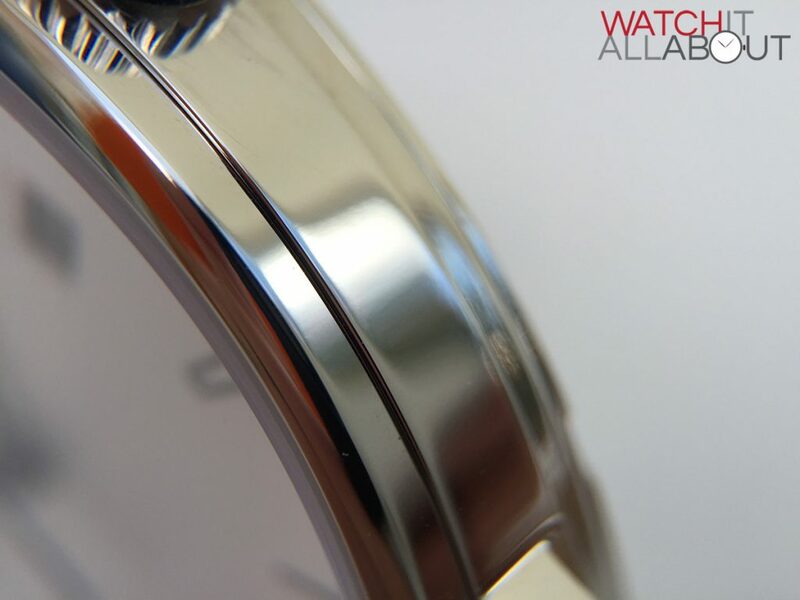 It really makes viewing the watch a joy and seem more expensive than it is. From the greatest part of the watch to the worst – the crown. The crown itself isn’t that bad – it’s well sized and provides good grip. The issue with it is the “R” embossed on the end – it’s not refined at all, in fact, I’d be more inclined to call it a splat. 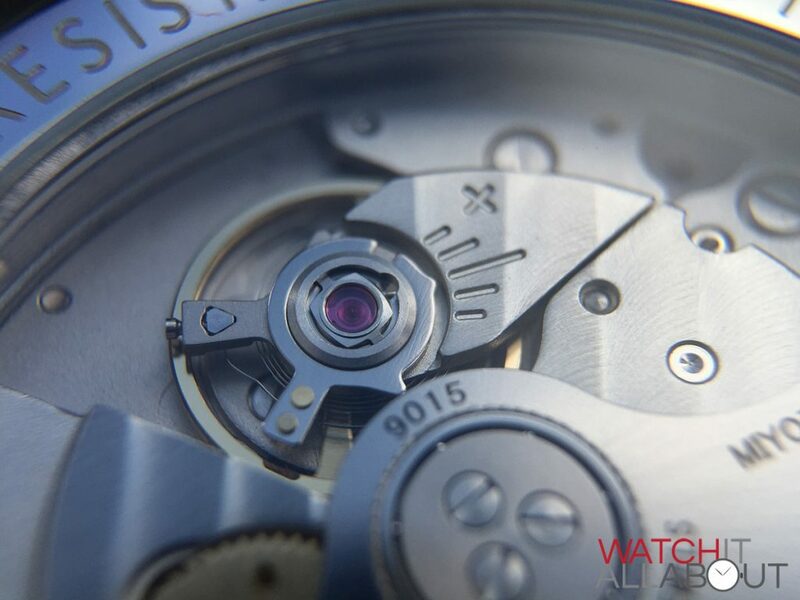 The screw-in caseback houses a mineral crystal window, allowing the entirety of the Miyota 9015 movement to be seen. 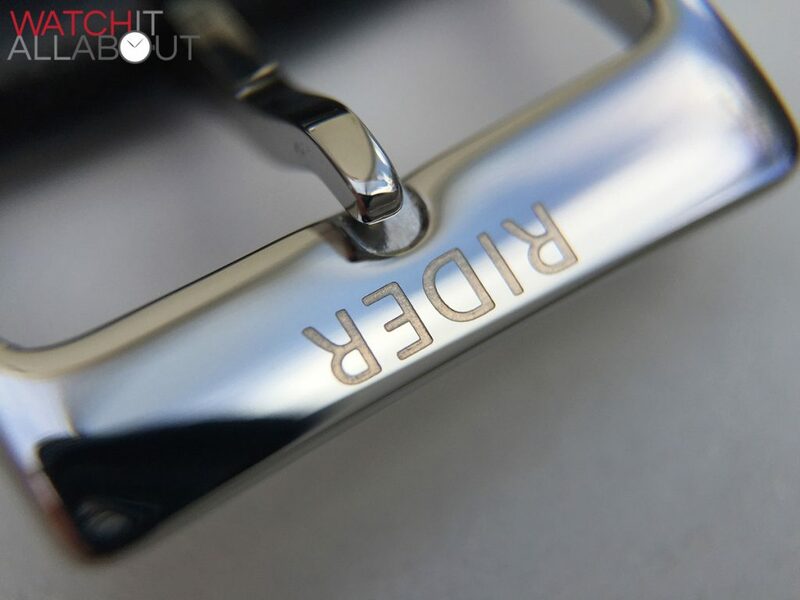 The case, on the whole, is well made and finished bar the embossing on the crown. 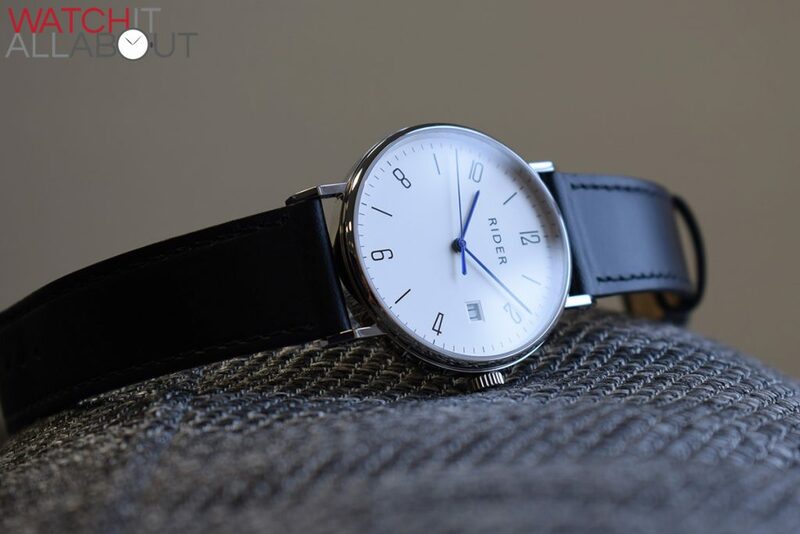 The dial is unmistakably in the Bauhaus style, and is a homage to the Nomos Tangente. It’s very simple in appearance and design: bold yet subtle. 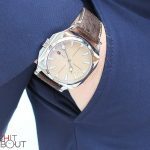 I like how it’s a silvery / champagne colour rather than a bright white – this softens the dial and provides a classier look. The printing is the main characteristic, as there’s no applied elements at all – it’s a very flat dial with no textures or layers. With all eyes on the printing, it would have to be spot on as it will become the subject of scrutiny. Thankfully it is – it’s all delicate and accurate enough. The hands are chemically blued, and are thin and elegant. They reach far towards the edge of the dial – the minute and seconds hands extend to the minute track and the hour hand sites just short of the hour markers. They’re flat, not pitched, again exaggerating the flat impression of the dial. The date window is the only thing that bestows the dial with any sort of second layer. 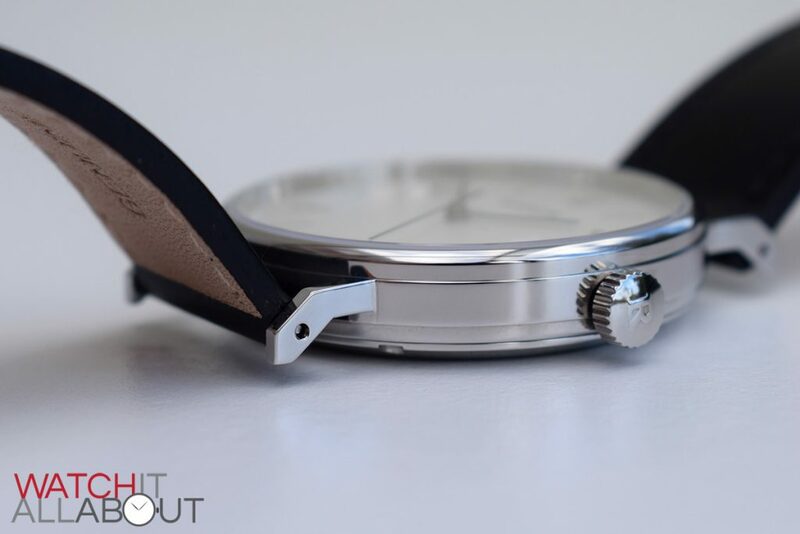 It’s fashioned well, with close attention to detail given it rather than being just a straight cut out of the main dial. This is because of the frame / border surrounding the window on a lower level, before the date wheel which is the same colour and therefore fits in nicely. 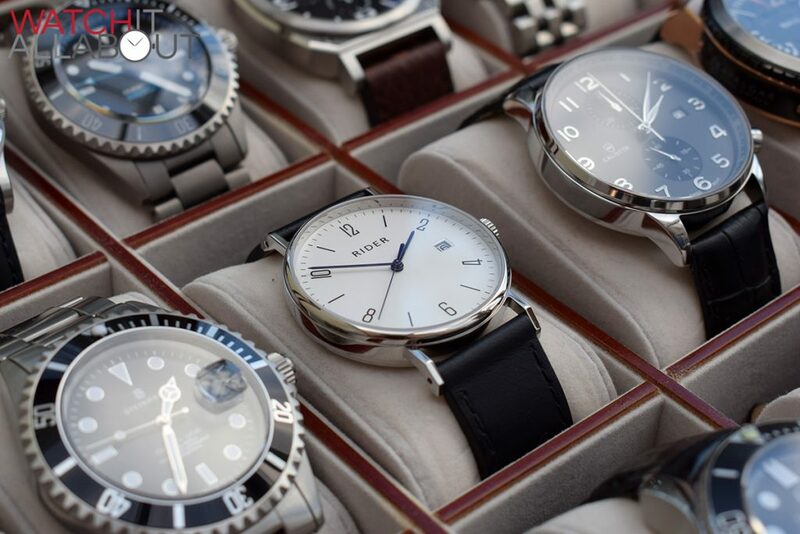 Whilst the dial is simple – there’s not really a massive amount going on – it’s well executed. 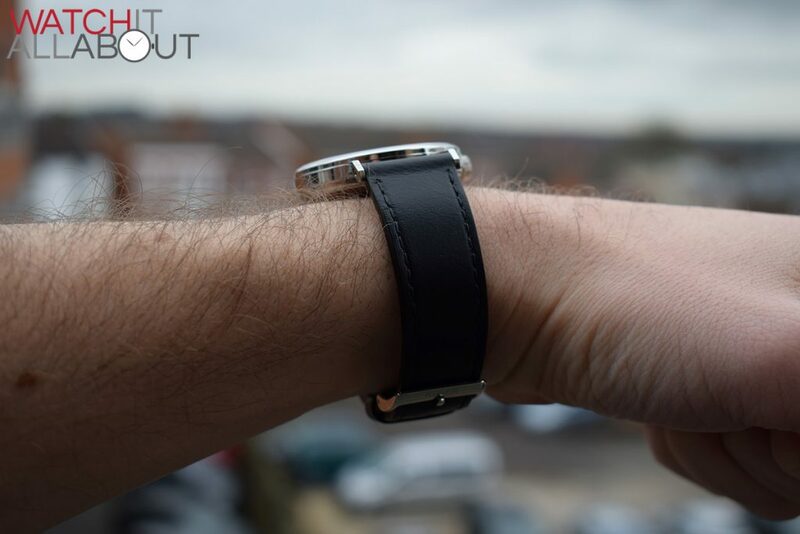 The leather strap is, of course, the usual place where watch brands try to save money and this is the case here. 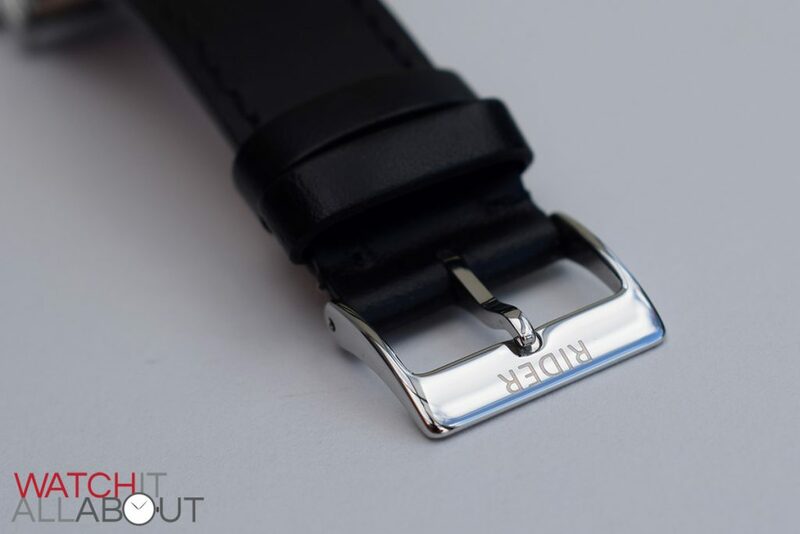 Unlike its brother the M001, which has a really nice strap for the price, the strap found on this watch is quite obviously made on a budget. It’s thin, and therefore feels fairly cheap. 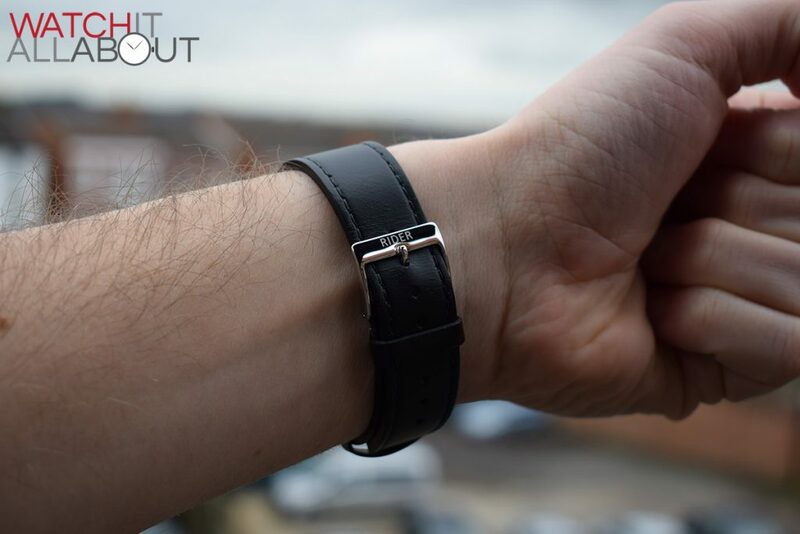 It’ll suffice for a while visually, but it’s unlikely to last a long time and just doesn’t feel that great on the wrist. 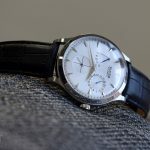 So, although the watch is dead cheap I’d say that to make it a timepiece you’d be happy to wear for a very long time I’d recommend buying a decent strap. 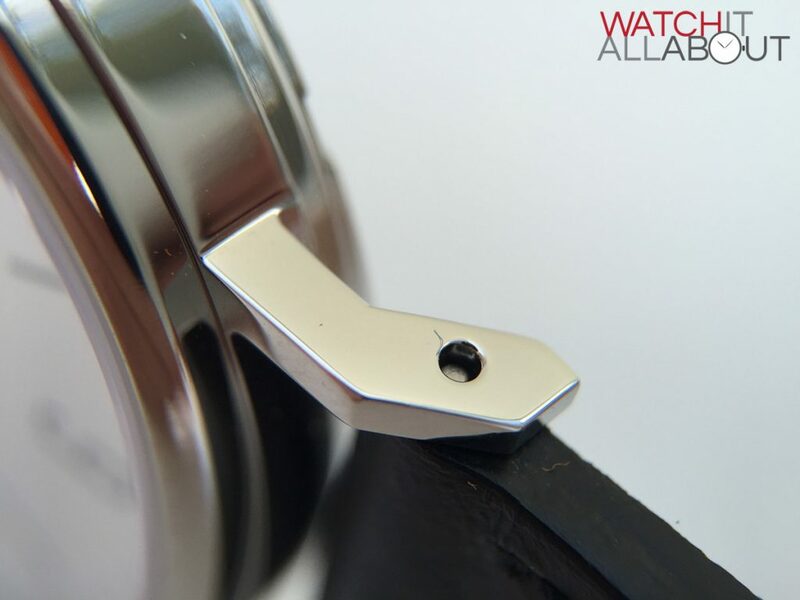 It measures 20mm wide at the lugs, reducing to 18mm at the buckle. 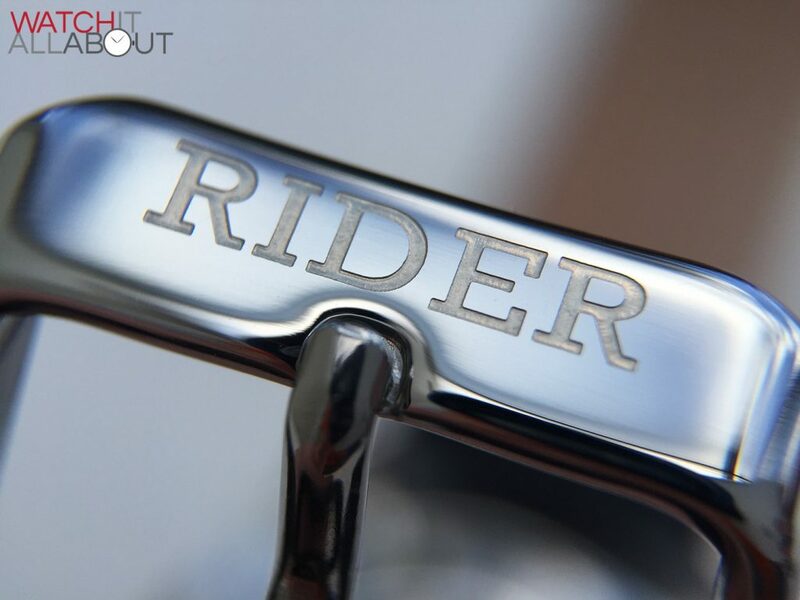 The tang buckle that comes with the strap is actually pretty good, with “Rider” deeply engraved across the top bar. 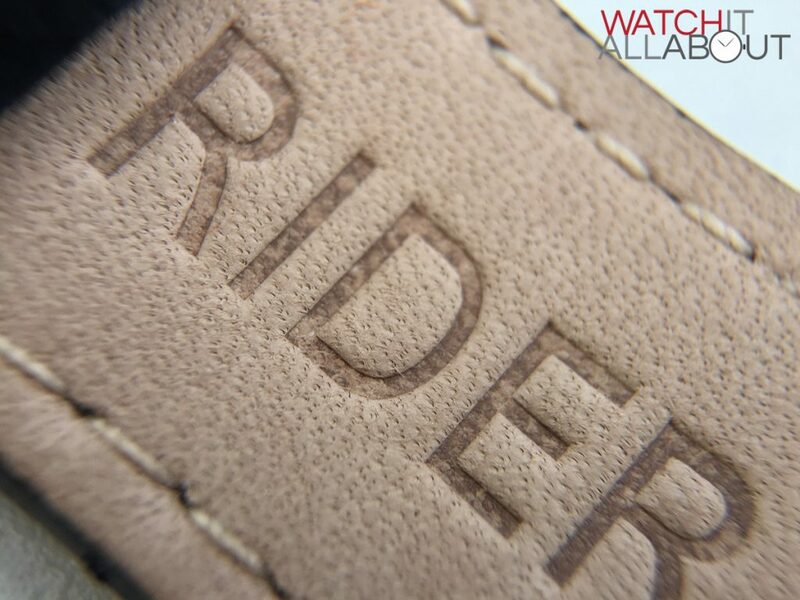 Rather surprisingly, the movement powering the Rider M005 is the Miyota 9015. At a price like this, you’d expect a lesser movement, one that’s not high beat or quite as popular, especially amongst micro brands. 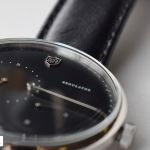 For instance, the 9015 can be found in the following watches I’ve recently reviewed to name a few: the Erroyl E30, Melbourne Watch Co Flinders, and the Brathwait Minimalist Automatic. 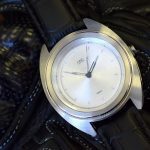 Of course, all those watches are much more expensive – in fact, at the current price, I believe this watch is the cheapest watch out there with the 9015. 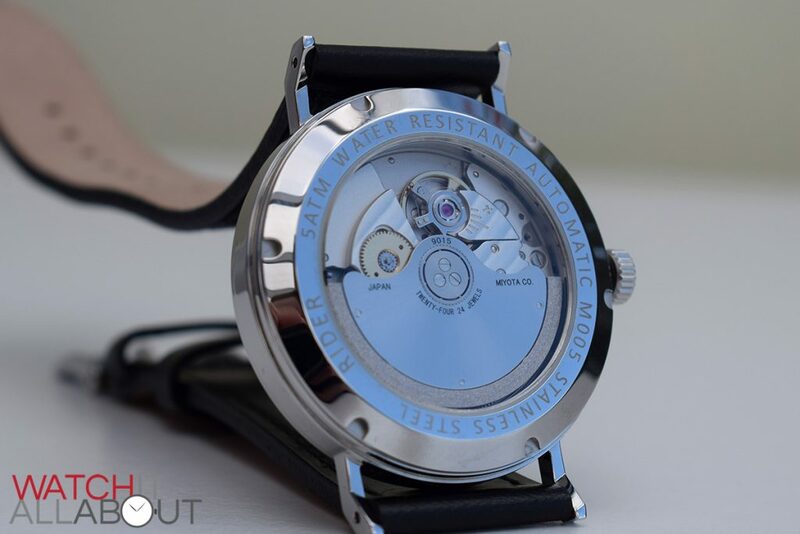 It’s high beat, running at 28.8k bph (8 ticks per second), has a power reserve of 40 hours, a hacking seconds hand, hand wind capability, and the reputation of a sturdy, well made and reliable movement. As I’ve found quite often, the rotor is a little bit noisy when it’s spinning but no so loud it should put you off. Visually, it’s pretty industrial and basic but nice enough to be appreciated. The most direct competitor is no doubt the Rodina Bauhaus. It’s more or less exactly the same watch, bar a slightly different dial configuration and a lesser movement. 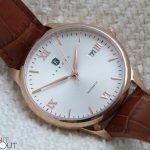 The Rodina is cheaper at $120 / £85, but it isn’t as good a watch (namely the movement and the anti-reflective coating on the sapphire crystal) – so I’d opt for the Rider. 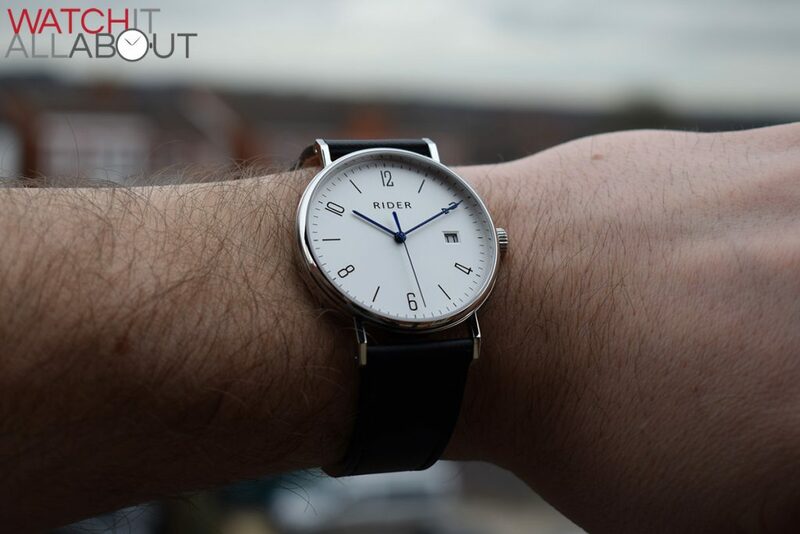 Of course, don’t forget you could go for the real deal – and buy the Nomos Tangente for £1200. 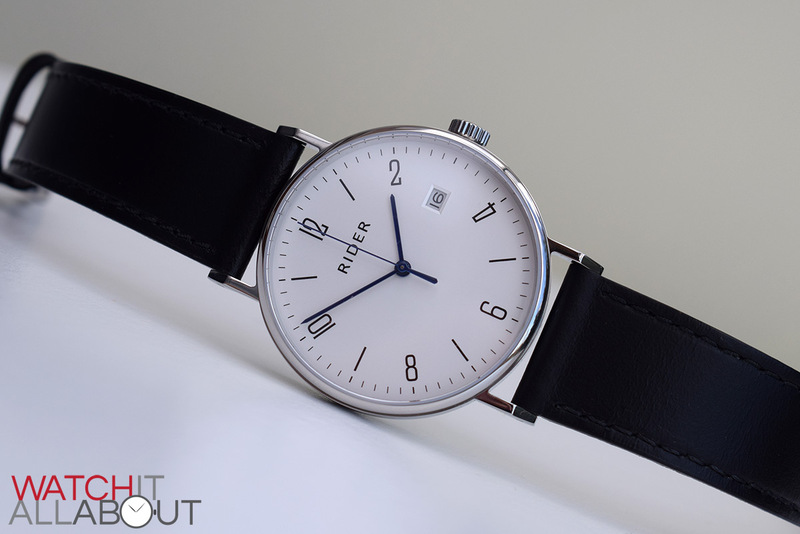 Just like its brother, the M001, this watch has surprised me in terms of quality and specs for the affordable price of $170 / £120. I think it’s one of the cheapest watches to house a Miyota 9015, which in itself is a feat. 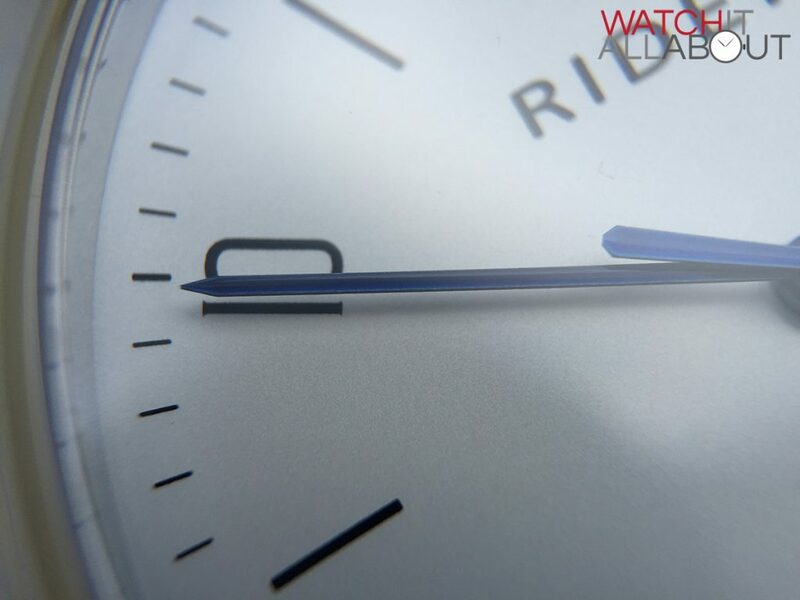 Not only that though, the anti-reflective coating on the sapphire crystal is one of such quality you’d expect it to be found on a watch costing many times the asking price. 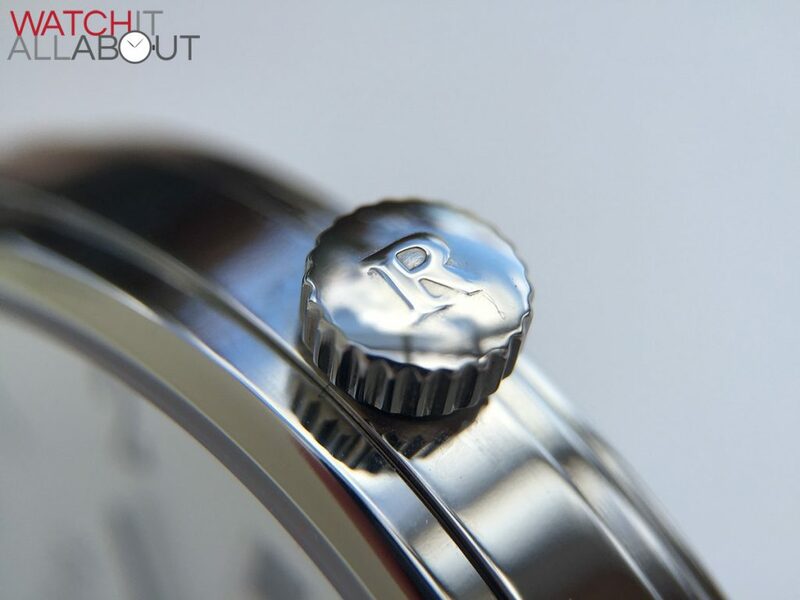 Of course, it’s not completely flawless – the “R” on the crown is a total splat, and the quality of the leather strap is not quite up to scratch. 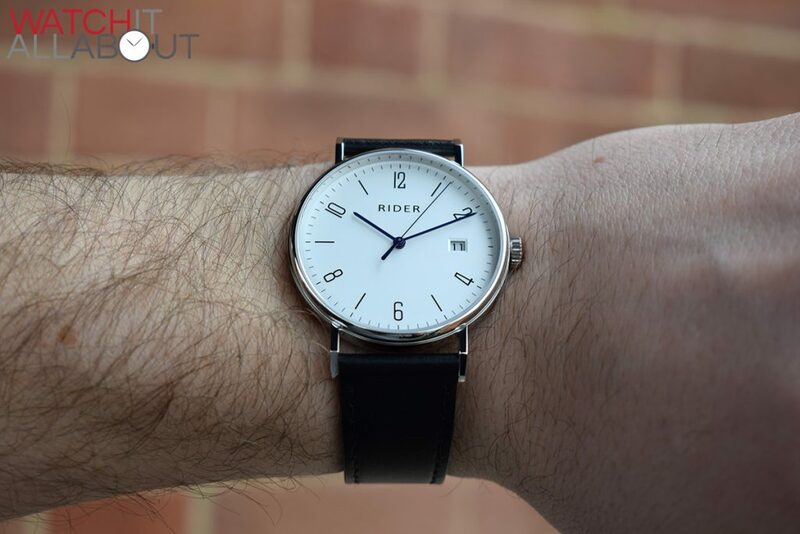 Still, if you’re after a Bauhaus / Nomos style watch, for the price it doesn’t get better than the GT&FQ Rider M005. How does it resist magnets found in many daily objects, such as the smart cover of an iPad? 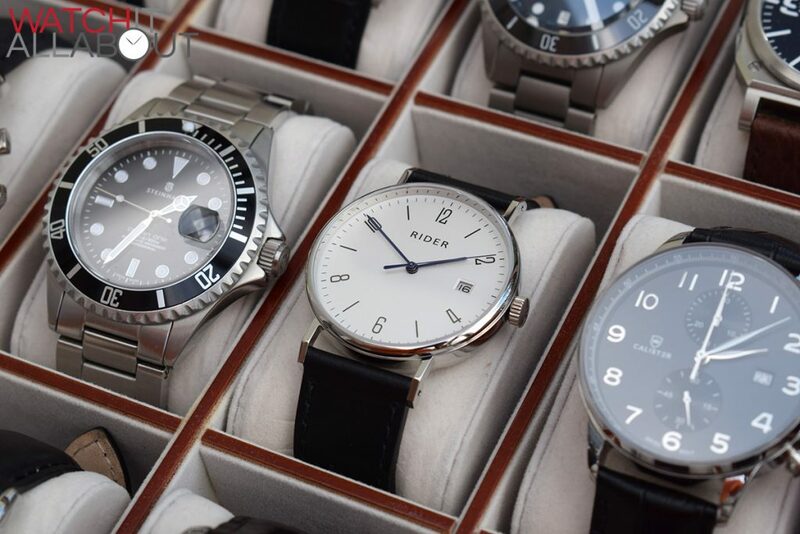 Which one would you suggest between Rodina R05 and Rider M005 ? They appear identical in almost every aspect to a newbie like me. Which would give me more value for the buck ? I would go for the Rider – better AR on the crystal. Thanks for the message. Thank you so much for the prompt reply. Apart from that does Miyota 9015 have an edge over ST17 ? I am not sure if this question is valid here. 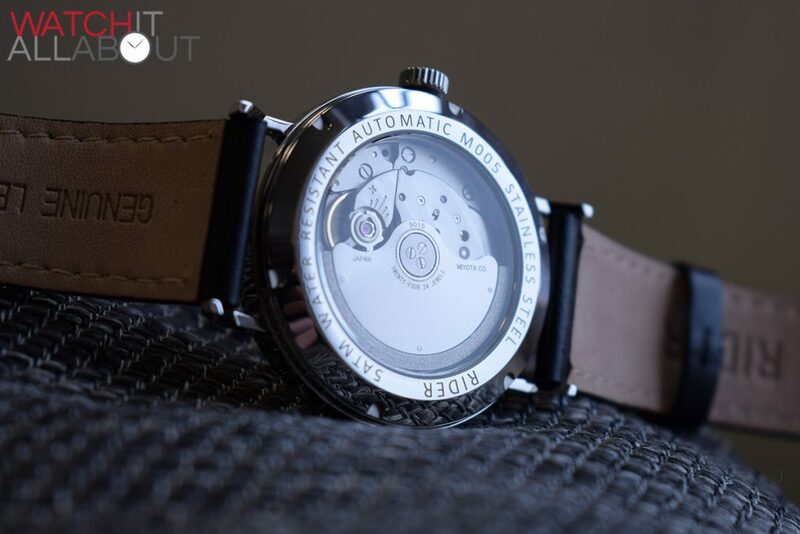 But considering this would be my first automatic watch after a couple of quartz, I am a little curious to know the advantages. Thanks again. 9015 is high beat (8 ticks per second) so is a superior movement. Many thanks Joshua. Much appreciated. 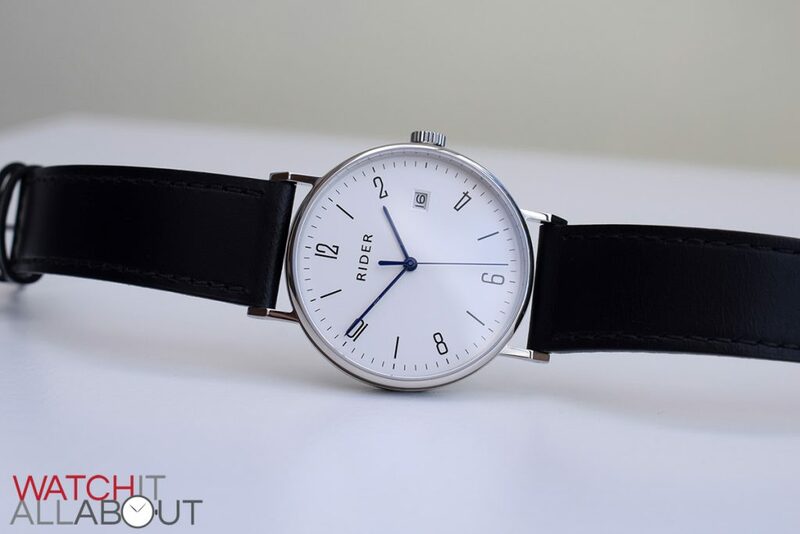 I recently purchased this watch and love it but I have a question. Does yours rattle if you tap it? what would you recommend between this and the Dufa 9001? I’d definitely recommend this watch out of the two.